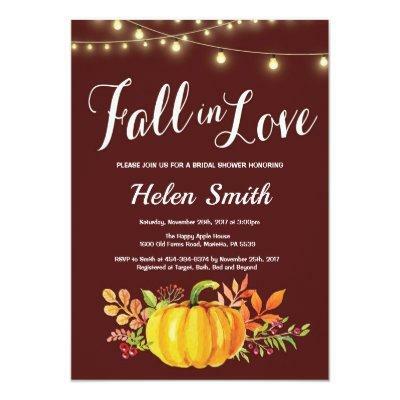 Fall Bridal Shower Invitation. Brown Background. String Lights. Pumpkin. For further customization, please click the "Customize it" button and use our design tool to modify this template.